This scene would never happen 10 years ago. Those are wedding guests of the bride and groom. It is a sign of the times - this enthusiasm to take photos wherever and whenever. 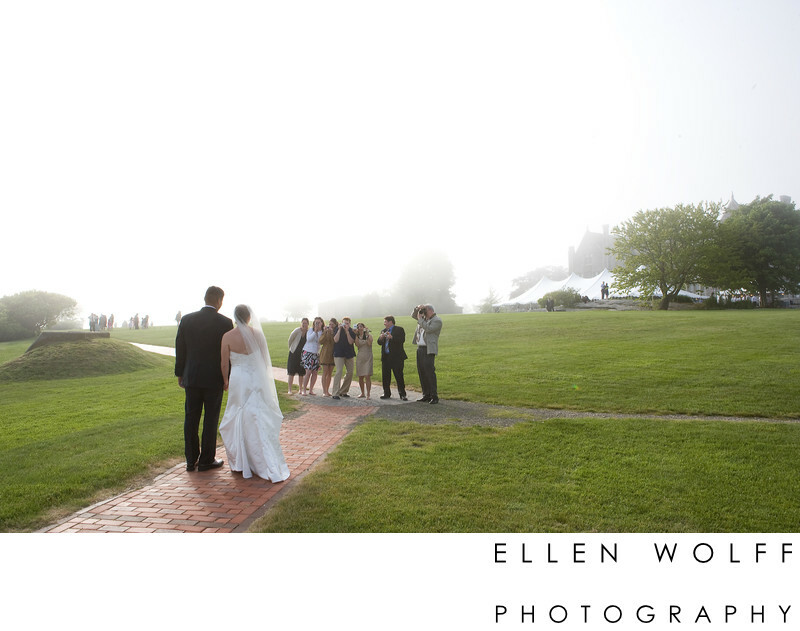 At Avery Point on the University of Connecticut Campus with fog rolling in from Long Island Sound.